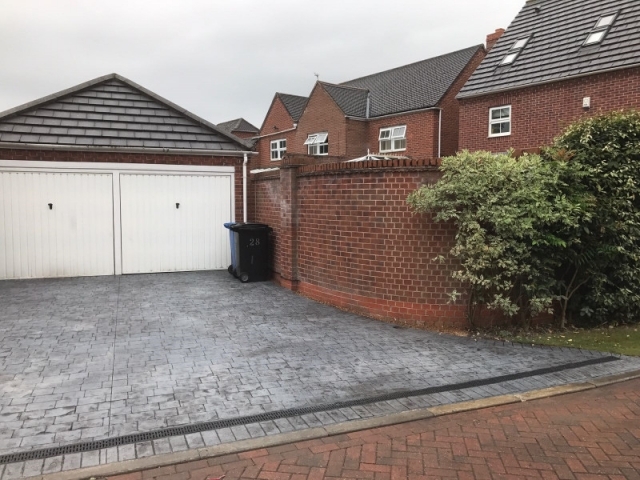 A new driveway can transform a neglected space or enhance an existing driveway to the front, side or back of a property adding “curb” appeal and value to your property. 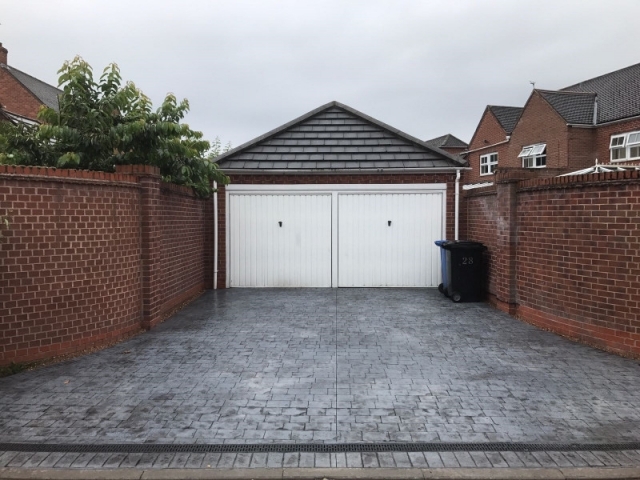 Lasting Impressions was recently asked by a client in Timperley to resurface the driveway at the back of their house and in front of the garage. The driveway was printed in London Cobble and coloured in platinum grey which complimented the existing garage and brickwork at either side. With a wide range of colours and styles, at Lasting Impressions you will always find something to suit your taste and that’s appropriate to the style of your house. You can see from the pictures, the stunning results. The customer loved the results so much that they have now asked us to do the drive at the front of their property!